We are a couple of regular car guys who quickly became addicted to High Performance Driving Events. We created HPDEjunkie.com because we felt the need for a comprehensive list of all track day events in the nation on one website. 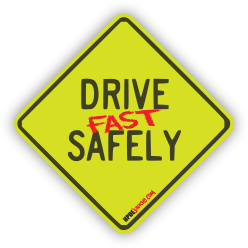 Our philosophy is that all drivers should be able to enjoy the exhilaration of driving their own car at speed, safely, without fear of getting a speeding ticket or thrown in jail. High Performance Driving Event, or High Performance Driving Education. HPDE refers to non-competitive events held on dedicated race tracks designed to teach drivers proper high speed driving techniques. HPDE events are held by several HPDE companies and various automobile enthusiasts' clubs at some of the most renowned road-course tracks around the world. Participants include both students and instructors. Students are grouped according to their ability and experience, with "Novice Group" students being the least experienced, "Intermediate Group" being more experienced and "Advanced Group" drivers being the most experienced. Mandatory classroom instruction contributes to the safety and overall learning experience and allows peer-group discussions of event logistics, on-track performance and track characteristics. What do I need to know before I participate in HPDE? HPDE companies encourage participants to drive within their ability and improve their car-control skills with each event. Instructors and staff evaluate each student's progress throughout the weekend, and make recommendations on the student's advancement to a higher skilled driver group. It is extremely important for Novice drivers to learn the safety measures of the sport first such as entering the track, flags, corner worker functions and emergency procedures. It is also important to learn car control skills and the racing line before worrying about how fast you are going. High horsepower does NOT make you a fast driver. It only makes you a driver with a fast car. High Performance Driving Events are set up to be very safe. The companies behind the events put safety at the top of their priority list. Cars on-track operate under strict rules which minimize the likelihood of dangerous encounters with other cars. Occasional off-track excursions into the grass happen. They are normally controlled stops with track personnel and on-board instructors supervising a safe re-entry onto the track. Off-track excursions usually result in an off-track talk about what happened. It's also important to note that as a Novice driver, you're not driving your car anywhere near its 'limit'. Can I use my own car for HPDE? Of course! Although the majority of participants utilize a performance vehicle, students are allowed to drive virtually any vehicle that has been deemed safe by a qualified mechanic (Pre-event Inspection) and is known to have adequate handling characteristics for track use. Whether brand new or a 20 year old beater car, the car can still do more than you can. Most tracks require convertibles to have an approved roll bar (some OEM bars are permitted). What does my HPDE instructor do while I'm driving? They are sitting in the passenger seat right next to you Communicating with you through a mic/headset and providing specific instructions on when to brake, turn-in and get back on the throttle. They are in essence instructing you how to find the best line around the track. They are the eyes and ears for you, so you can concentrate on following their instructions and the track. It might be helpful to think of the instructor as your boss and what they say is law for the day. Can I pass another car during HPDE? Passing among participants is facilitated only within defined "passing zones", and then only with clear hand signals and instructor confirmation. Many organizations increase the number of passing zones or eliminate the requirement for signals in groups with more experienced drivers to reduce traffic on track. What do I need to do to my car before an HPDE event? A pre-event inspection by a local garage is needed to determine if your vehicle is a mechanically sound and safe car. Most companies require this type of inspection before coming to the event. This is to check the overall condition of the car and it's fluids, brakes and tires. The only other requirement is typically a full face helmet with a 2010 SA or newer rating. You will have to go through a tech inspection at the event before getting on track. This generally involves checking to insure all loose objects in your car, trunk (spare tire) and contents of the glove box have been removed. Basically, remove anything that can become a projectile when going around the track at high speed. It's also highly recommended to fully bleed the brake system with high temp fluid and torque lug nuts to 80-90 ft/lbs. Check tire psi and lug nuts in between each driving session as well. It's important to leave the street tires on your car as High Performance tires only hide your mistakes. What do I need to bring to an HPDE event? You will need a full face helmet with a 2010 SA or newer rating. You will also need cotton long pants (jeans are perfect) and a cotton long sleeve shirt. Racing gloves, and shoes are recommended, but not needed as a novice. Make sure to bring a Credit card for gas at the track, a chair, and some basic tools. Sunscreen, water, snacks and food are also highly recommended. Will I hurt my car by doing HPDE? Probably not. Basically, it's up to you as to how hard you want to drive your car, but you can expect some tire and brake pad wear. There is also the occasional track debris, but it's not much different than driving your car on the highway. How much does HPDE cost? Most one day events are $225 - $325 range for four 30 minute, or five 20 minute sessions (2 total hours of track time per day), and $350 - $450 for two day events. You may also need to arrange hotel accommodations. Most events start early, so it's a good idea to get a room for the night before if you have a long trip to the track. Most HPDE companies offer links and recommendations of where to stay when you sign up. How fast can I drive at an HPDE event? You can drive as fast as your ability and car will allow. If you're following the instructors commands and driving the race line you'll see higher speeds. It's not unlikely to see speeds in excess of 130 mph at your very first HPDE. HPDE is not racing. It is a non-competitive learning tool. There is no timing of laps allowed while the event is in progress. Some companies do offer a method for timing your laps, but it's for instructional purposes and the lap times can't be accessed until after the event ends. The cars on-track operate under strict rules which minimize the likelihood of dangerous encounters with other cars. Occasional off-track excursions into the grass happen. They are normally controlled stops with track personnel and on-board instructors supervising a safe re-entry onto the track. Off-track excursions usually result in an off-track talk about what happened. How much does it cost to get an HPDE inspection? This varies, but most shops will do one for about $25. If you're having other work done, such as wheel alignment or oil changed, some shops will even throw it in for free. Some customers have reported stories of car dealerships doing it for free as well.